Disney Springs is getting ready to welcome fall with a new dining celebration – WonderFall Flavors. 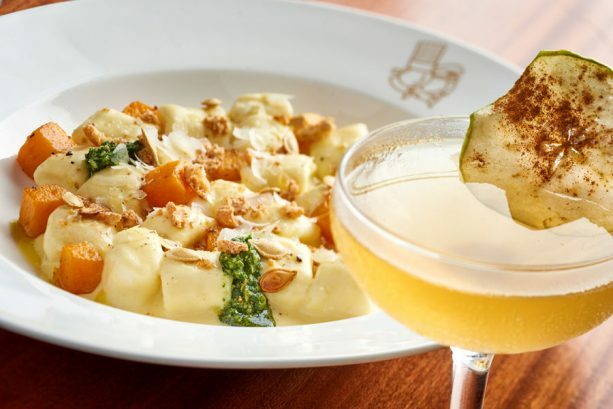 This new fall dining adventure kicks off September 7 and runs through November 6 at 14 participating restaurants in Disney Springs. The special WonderFall Flavors menu items include fall-inspired drinks, appetizers, main entrees, and even desserts. For a full list of WonderFall Flavors menus visit the Disney Food Blog. Participating restaurants include YeSake, STK Orlando, Enzo’s Hideaway, Jock Lindsey’s Hangar Bar, Maria & Enzo’s, Morimoto Asia, The Boathouse, Raglan Road Irish Pub and Restaurant, D-Luxe Burger, Amorette’s Patisserie, and more! If you’re visiting Disney Springs this fall stop by the Disney Springs Welcome Center and pick up a WonderFall Flavors booklet which features a map and list of all the eats and drinks.